You are here: Home / Is All Scripture God-Breathed? Is the inspiration of Scripture taught in Scripture? 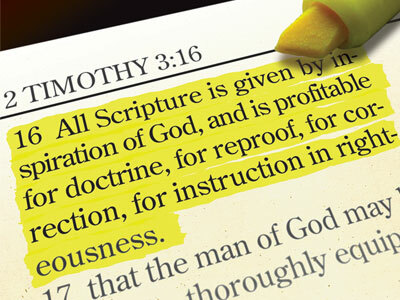 The primary text in Scripture used to support the doctrine of the Inspiration of Scripture is 2 Timothy 3:16. Seems pretty clear, right? So I guess that settles it. Scripture must be inspired. Except that it’s not quite that easy. The phrase is notoriously difficult to translate, and even more difficult to understand. First, the word “inspired” is a translation of the Greek word, theopneustos. The most literal translation might be “God-breathed” which is reflected in some translations. But even then, what does this mean? That Scripture is the breath of God? That Scripture was spoken by God? Even when translations use the word “inspired” what does that mean? How does it differ from being inspired by a beautiful sunset or piece of music? Some note that the root of pneustos is pneuma, which is the word for wind, breath, or spirit. Based on this, some think of theopneustos as having something to do with God’s Spirit. In this way, Scripture is “God-Spirited.” But again, what does that mean? As I indicated previously, this is the only time this word is used in Scripture, and is also quite rare in other Greek literature from that time, and so it is difficult to know exactly what Paul had in mind when he was wrote it. A second translation issue is that the word theopneustos is an adjective, and so there is some question as to where in the verse to put the adjective, and how the adjective is being used. As you probably know form English, there are numerous ways of using adjectives. It gets rather complex, but there are three main uses of adjectives. They can be used as adverbs, nouns, or to modify a noun. I am not going to try to explain all three, but there are translations of 2 Timothy 3:16 which reflect all three different uses of the adjective (See Greek Grammar Beyond the Basics by Daniel Wallace, pp. 291-314). I will point out some of these below. Finally, there are translation issues with the word “Scripture” itself. The word is graphē which literally means “a writing” (singular). What “writing” is Paul referring to? In the immediately preceding verse (2 Tim 3:15), Paul has used the word grammata, which also means “writings.” Are the two synonymous or is Paul referring to something different with each word? Below are some of the ways the verse has been translated, with a few notes of my own following each translation, which explain what the translators seems to have been trying to say. 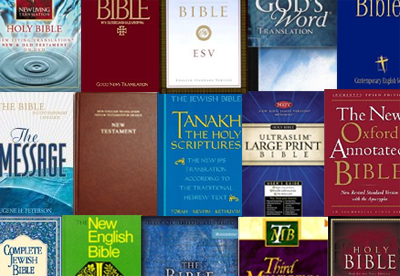 (I recommend BibleWorks to get all of these versions and many more). These translations seem to indicate a belief that Scripture in it’s entirety is inspired. The NIV has translated theopneustos more literally. It is interesting that the KJV and the NKJ add the phrase “given by.” It seems the translators were trying place extra emphasis on the divine origin of Scripture. The NET translators apparently wanted to clarify that it is not just Scripture in it’s entirety that is inspired, but every individual part of Scripture as well. The ESV also want to emphasize that individual Scriptures are inspired as well, and also tries to clarify that each Scripture was breathed out by God. Maybe they believed it was spoken by God? Here is an example of a translation that seems to imply that some Scripture might not be inspired, and therefore, the uninspired Scriptures are not profitable. But how to know which is which? As with the ASV, this translation seems to indicate that not all Scriptures are inspired. Here is an example of a translation that used “writing” instead of “Scripture” and also goes with “God-breathed.” The translator leaves it up to the reader to determine which writings are in view, and what “God-breathed” means. Tomorrow we will dig in to 2 Timothy 3:16 a little deeper, and I will present a translation which I think fits the context better than any of the above and helps make much more sense of the text. This translation will pave the way for looking at other passages in the Bible which also seem to speak to the doctrine of the Inspiration of Scripture. Until then, what are your thoughts on 2 Timothy 3:16? Do you have a preferred translation above? Why? Do you have your own translation which is not reflected above (or can you guess what mine might be)? This verse is frequently cited to answer the question, “How do I know I can trust the Bible?” Answer: The Bible says it’s from God. This kind of circular logic is often ignored by Christians, but unbelievers quickly pick it up. When we look more closely at this passage, and ask the questions of it, as you are doing here, you can quickly see that it’s not the neat little package it’s often made out to be. Looking forward to see where you go with this topic. I’m finding more and more than almost nothing in life comes in a neat little package. Right? Circular reasoning is not a problem when dealing with a primary source. Take for example a test for the eye. Does the eye see? Well we would use an eye to check this, because the eye is the primary source here. It’s definitely Circular, however, in dealing with absolute truth, you will always come to a circuar type of reasoning. If Evolution is the truth about origin of life, than you would come to some type of conclusion that something is true “because Evolution says so” when you boil it down. IF the Bible is true you will come to a similar conclusion. I believe that the entire Bible is inspired (and find it problematic to believe in if it were not). I even used this verse in one of my previous comments on in this “series,” (perhaps that is what got you looking into this verse?) and I still fully stand by it. It is possible that it is only referring to the OT, but if so, then that means we are only looking at the NT in terms of whether or not it is inspired. Lastly, inspiration of scripture hits very close to home for me. I am currently a college student getting a degree in philosophy and religion, and am in a department full of atheists and agnostics (professors included). I have seen all of the “secular” beliefs of how the bible came to be written and canonized, and can attest to the dangers and how simply un-authoritative the bible becomes if it is in fact not inspired by God. I know that if I did not bible that the bible was both infallible and inerrant, I would not believe in it. I wouldn’t spend too much time on this verse though, it played little to no part in me coming to believe that the bible was inspired by God. Although I would say that even if there is only one time the Bible uses this type of wordage to argue for inspiration by God, there aren’t any verses that argue that it wasn’t inspired by God. I hope you don’t find me to be too pushy on this subject! You’re making me go back and look over this stuff as well, I find this edifying in that way. Everything I do and write is bathed in prayer, so to speak. I just don’t post such things on my blog. And I was planning on dealing with 2 Tim 3:16 from the very beginning of this series, as well as a few other texts. Now that I have posted about /2 Timothy 3:16, do you see where I am coming from a bit more? You are studying a very tough field, and I hope that your faith can remain firm as you progress. Ha ha! I’ve never heard that expression before. For folks who can’t afford BW, (which is quite High..I only have BW8) I also recommend The Word, which is free. It’s the replacemnt and improvement of ESword. I also have over 500 plugins if anyone is interested in them. Excellent. I didn’t know about this. Also, I have used “E Sword” as well, which is also free. I think Blue Letter Bible has some good resources as well. In many other passages ”panton” is used for ALL. I favor the word”every” and for graphe I use ”verse”, thus ”Every verse’. Now the appearent difference between Paul’s use of two different types of the words for ”writings” (graphe and grammata) becomes clear when we see Paul clarify the difference when he uses hiera ”sacred”. In verse 15 Paul refers to the whole ”Sacred Writings” and does not use the word ”pros”. The ALL is intrinsic to the whole Hebrew canon. But, in verse 16, Paul appears to press the issue I believe down to the very verse level. Thus, without a doubt, the whole of the canon down to the very phrases themselves, are to be understood as ”God-Spirited”. Now, it is not the ”Letter” but the ‘spirit’ of the Letter; not the word or vehicle but the ”meaning” of each word. Hence, we see now why many verses are read for years without understanding until the reader is enlightened by Him. The Letter read with the mind kills, but the Letters (words) read with the leading-spirit of God brings life. When Canonical verses are studied God leads the reader to be driven TOWARD being taught, convicted (exposed to truth), Up-erected (corrected), and disciplined in the [His Divine] JUSTice. 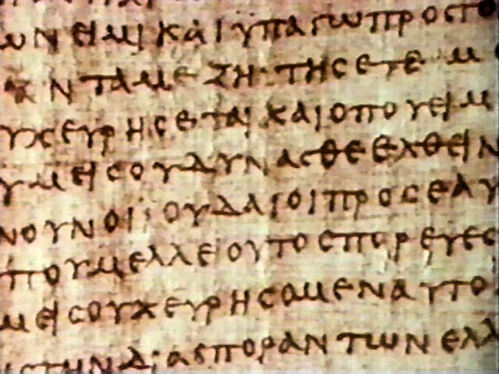 First: translation of the book in which every doubt and the right of each book, not the whole book “πασα γραφη”. Second: Paul Timothy say: “and you since childhood,” indicating that the intentional Paul Old Testament only because the New Testament was not written at the time and this is a testimony of Paul that infallibility in his talk about the Old Testament alone. I am having trouble understanding your comment, and so cannot respond adequately. Sorry! I have several questions…but I cannot ask some yet…because your response to the following questions…..determines what the next questions will be…. My first question beyond the above request to have those words defined is…. Is the “entire” Bible purported to be the “Word of God” OR are only “some” of the passages in the Bible the actual Word of God and the rest may be considered inspired by God? Great questions! Isn’t it amazing that we talk about whether or not “the Bible” or “Scripture” is inspired without having a good working definition of what the Bible is? We all assume we know what the Bible is, but maybe we don’t…. 2) resulting from a personal experience of God. 3) resulting from a direct communication from God. The definition of “logos” has varied according to the context in which the word was used. See the Wikipedia article on Logos for more on that. The entire Bible is purported by many to be the “Word of God” according to the first definition. Others believe that only some passages are the actual words of God. Still others believe that the Bible is God-inspired. Many people don’t believe that inspiration by God according to definitions 2 or 3 is possible. Personally, I believe that the books of the Bible are all God-inspired by definition 1, and many by definition 2. I have my doubts about definition 3, at least as regards verbal communication. thus linking the verses by means of a progression of thought, from the writings Timothy is acquainted with to then include further writings that are about spiritual matters. This does not require the introduction of a new idea (special Inspiration), nor does it seek to define boundaries around a specific set of writings (the sense of the passage doesn’t seem to warrant that), and the verses can be taken together to be simply an encouragement to Timothy to continue the practices of reading spiritual writings that he began as a child. (It is worth noting that even the OT canon had not been fixed by this time, so drawing boundaries around certain books and calling them “Scripture” (with a capital S) would seem to be a later reading onto Paul’s intention here? As I said… just my uneducated thoughts on the matter. The difficulty then, of course, is trying to determine what is inspired and what is not? Obviously, Paul was speaking about the “Old” Testament when he wrote 2 Tim. 3:16. But did he even think that what he was writing would be “future scripture”? Was he inspired to write everything we have recorded in the “New” Testament? Paul may have been inspired in most of his writing, but he certainly insinuated himself into much of it. I believe in the inerrancy of the Scriptures also — of the “autographs.” However, since we don’t have any autographs of Scripture, the hand of man is involved, and there is not a copy of any book in the Bible without errors, especially translations. Every translation is, by definition, an interpretation with every interpreter injecting his own biases into it. The ideas expressed in the Hebrew “Old” Testament are valid, since there are fewer mistakes than in any translation, and I believe that the entire Bible is the true, infallible, reliable, eternal Word of God, but unless we’re able to read Hebrew and think like the Hebrew writers, we must rely on man’s definitions of Hebrew words. 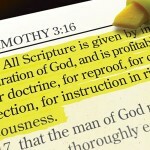 The NIV has ‘Scripture’ while the KJV has ‘scripture’ for 2 Tim 3:16. This distinction shows that the Greek word graphe was not any old writing but “specific” writings of the so called ‘Old Testament’ which makes it a proper noun, thus the capitalization. There can be no doubt that most people misquote this verse to cover the whole Bible. That is not a good use of the Bible. It is good to study and when you face the truth, don’t try to bend it your way.